Posted in: 2D, CG Releases, Downloads, Learning, Tutorials, Videos. Tagged: Blender, Game Development, Unity. 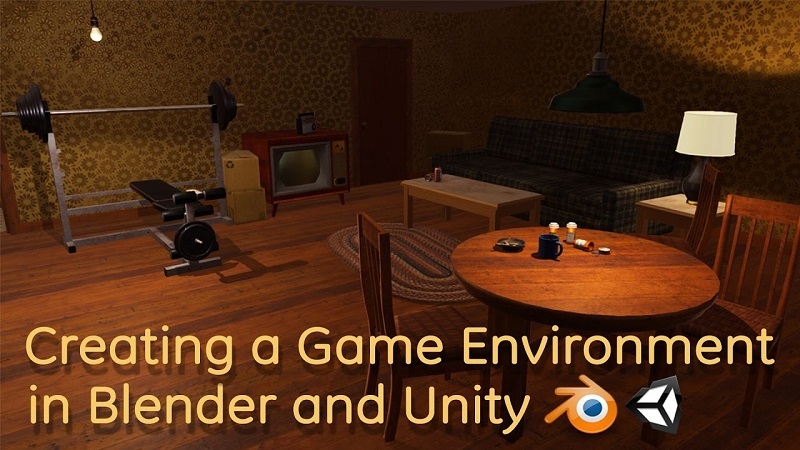 In this course we will use Blender and Unity in an integrated way to create a run-down apartment game environment. We will establish a pipeline process between Blender and Unity and go over different ways of organizing your game projects. You will learn about game modeling, UV mapping, texturing, and lighting as we build the environment. This course will also discuss the use of Adobe Photoshop and Substance Painter when texturing game assets.